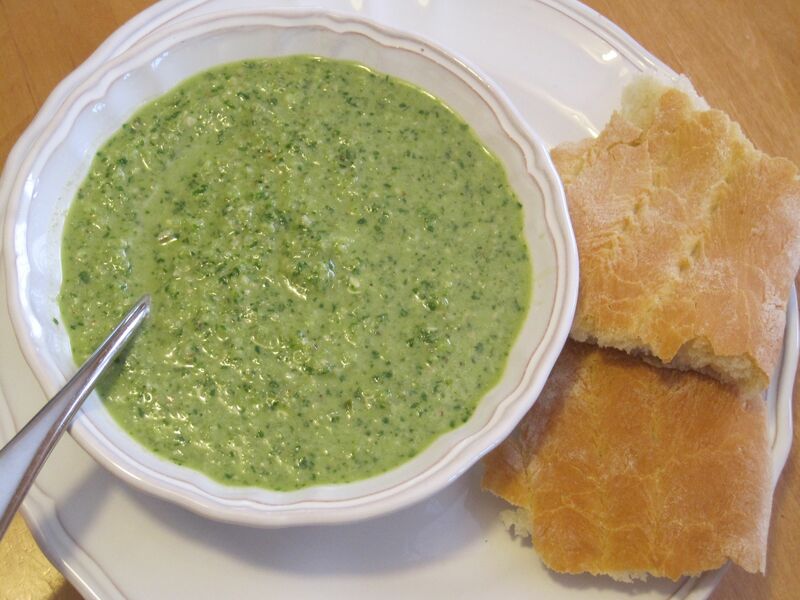 This delicious version of gazpacho takes advantage of all the green peppers and cucumber we’ve been getting from our CSA, plus has the added advantage of protein and iron from the walnuts and spinach. Give it at least 30 – 60 minutes to chill in the fridge before serving, or you can do what Yotam Ottolenghi does, and puree in 9 oz of ice cubes. Below is my adaptation of his recipe from Plenty, and serves 6.
transferring to a bowl, puree everything in a blender or food processor. Chill for at least 30 – 60 minutes, or if serving immediately, puree in 9 oz ice cubes as well. 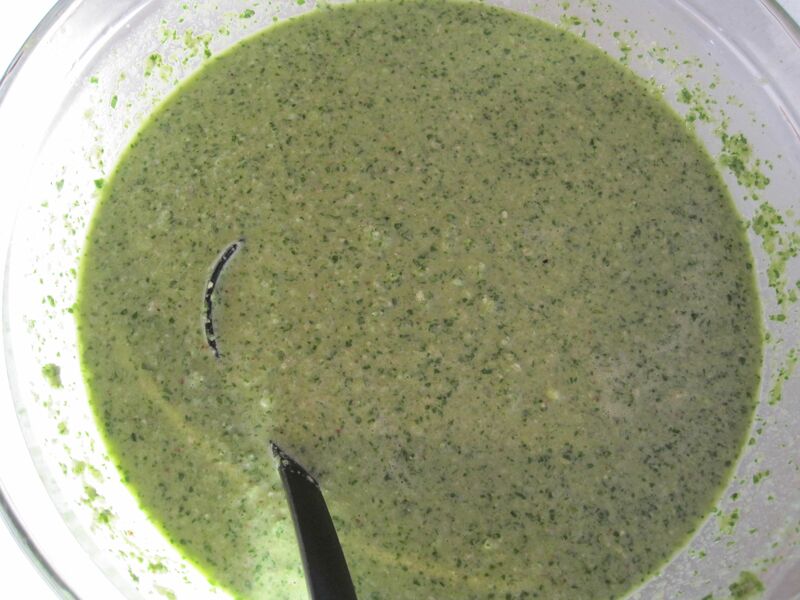 If the soup seems too thick for your liking, add a little cold water before serving. 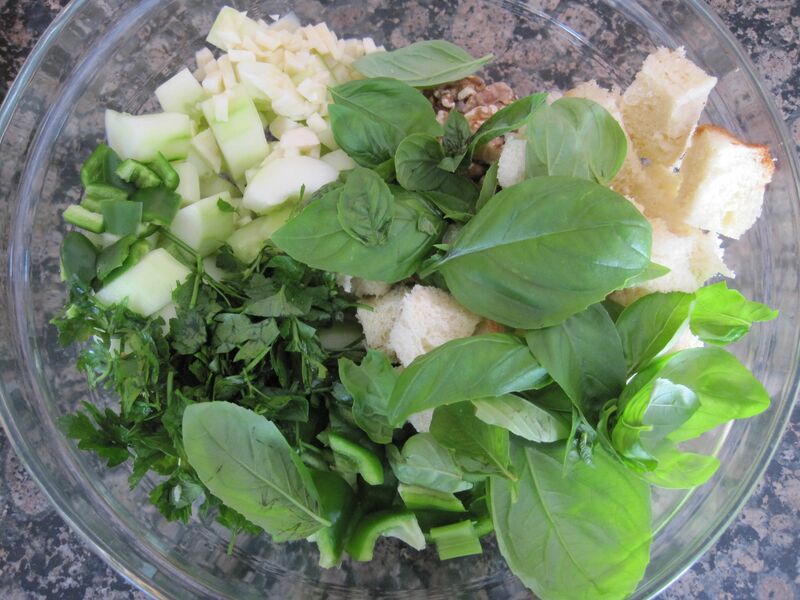 This entry was posted in Soups, Stews and Chilis, Vegetarian and tagged basil, cucumbers, gazpacho, green pepper, soup, spinach, walnuts by Jennifer @ Meal Planning Moms. Bookmark the permalink.